How will this designation of land into a monument affect public school funding? How are the politicians in Utah going to react to the national monument if it is designated? Other states have fought the Antiquities Act, can Utah fight as well? 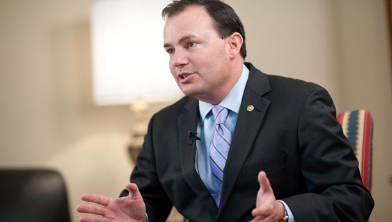 The Vekeo event was hosted by Senator Mike Lee of Utah. The topic of conversation was to discuss the federal land policy and the problems it poses. The Obama administration is considering designating 1.9 million acres in San Juan county as the Bears Ears National Monument, but far too much land is already owned by the federal government. Excessively large national monument designations like this are controversial because they ignore state and local government land management policy and silence the voices of local residents impacted by the monument excluding their elected representatives in Congress from the designation process. Additional discussion touched on the Antiquities Act Reform, which gives the president the power to unilaterally designate tracts of federal land as historic landmarks and structures. The American people deserve a voice in how federal land is managed. Land owned by the federal government is beyond local government jurisdiction, including taxing jurisdiction. Senator Lee is fighting for amendments.